Officials from the Veterinary and Livestock Division along with quarantine officials and customs officials have stepped up surveillance at ports of entry to ensure that unregistered beekeepers are not importing the Africanised “killer” bee from neighbouring Trinidad & Tobago. 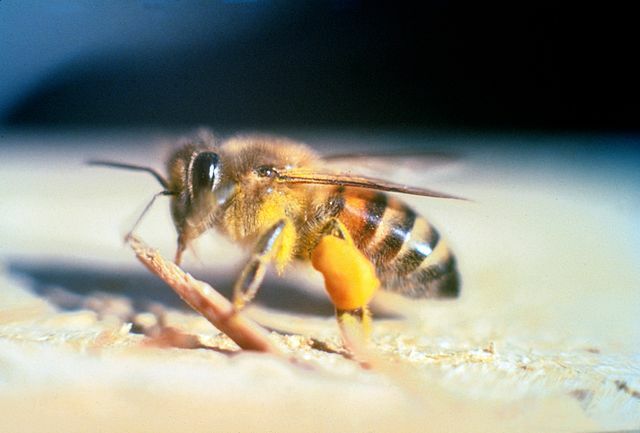 Quasi Williams of the Veterinary and Livestock Division said that the department received reliable information recently that an apiary operator was seeking to import the bees illegally from Trinidad. “We want the general public to know, especially those who are not registered with the Ministry of Agriculture as beekeepers, that bees should never be imported into the country, no matter which part of the world they come from,” he said. A news release issued by the Ministry of Agriculture and Lands said to the general public, especially individuals already in or interested in joining the beekeeping sector, that it is illegal to import bees from other regional islands, as well as internationally. “Persons seeking to bring in Africanised bees from Trinidad are asked to stop immediately as these bees would destroy our native bees and are very harmful to the Grenadian population,” said the release which urged that all persons engaged in beekeeping and not registered as a beekeeper with the ministry, to kindly do so. Williams said that the ministry has a farmer’s registration process where all farmers registered with the ministry are issued an identification card and the relevant training and knowledge about the protecting the local industry. “Africanised bees also known as killer bees, are very dangerous and shouldn’t be allowed into our island, and the ministry would treat this matter very seriously,” said Williams as he called for persons with any information of others importing Africanised bees from Trinidad to report the matter. Persons found guilty of importing any species without the relevant permission can be imprisoned and/or fined.